Palmako Veronica Summer House Pavillion 2 & 4: 6.7m²: The Palmako Veronica Summer House Pavillion2 & 4: 6.7m² is part of our Palmako Summer Houses range. The Palmako Veronica Summer House is the smallest summer house in this collection and is available with two windows (Veronica 2) or four windows (Veronica 4). 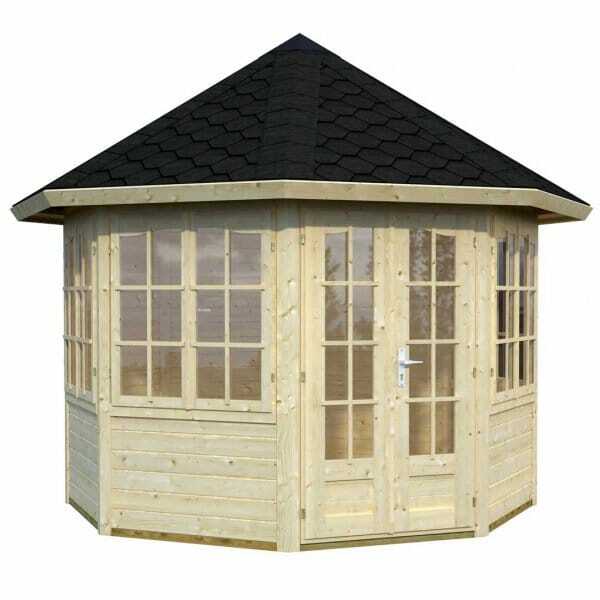 This stylish wooden garden building would look fantastic in any garden and is ideal for entertaining or just relaxing and enjoying your outdoor space.